The first edition of the IFITTtalk took place at Bournemouth University, hosted by the eTourismLab on 14th July 2015. 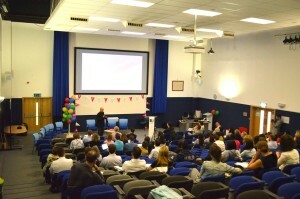 The event attracted an audience of more than 150 people who joined the event live in Bournemouth and followed via live-stream online. 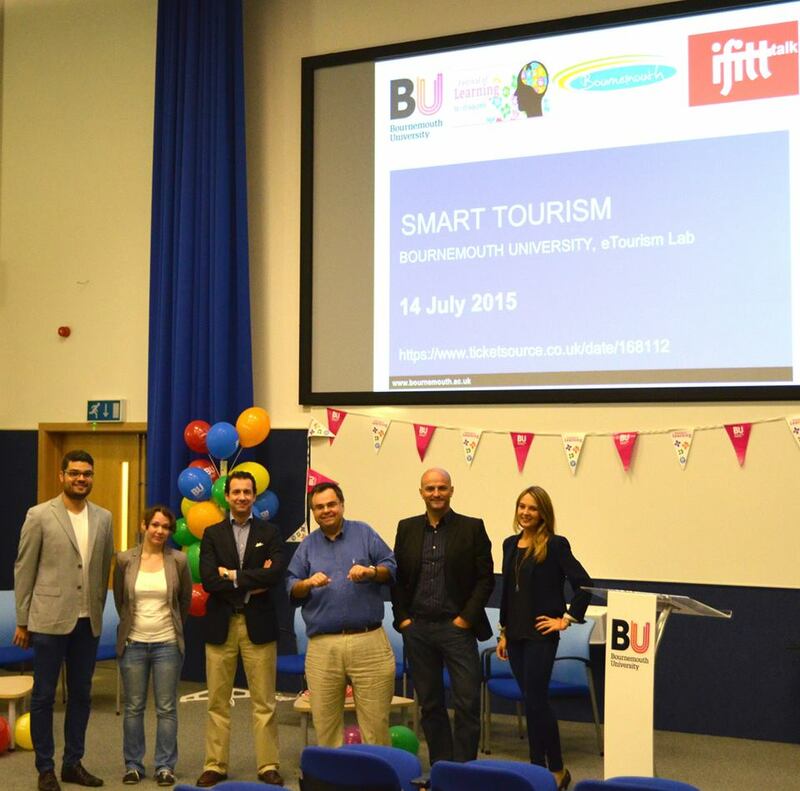 Chaired by Professor Dimitrios Buhalis, Director of eTourism Lab, this event had the aim to engage academics and industry professionals through interesting discussions about smartness and smart tourism destinations. The event was divided into two main sessions, focusing on smart tourism theoretical concepts and practice implications. In the first half, a keynote from Microsoft kicked off the event presenting state-of-the-art intelligent platforms. The academic session tackled cutting edge developments, paradigm shifts and global best practice cases. Professor Dimitrios Buhalis introduced the concept of smartness, Professor Janet Dickinson talked about the Internet of Things paradigm, while Kim Boes presented several smart tourism destination across Europe. Dr Nigel Williams talked about real time twitter conversations and Dr Philip Alford discussed smart and data-driven marketing in SMEs. Dr Barbara Neuhofer (IFITT Treasurer and Director of IFITT Next Generation) joined the event as IFITT representative and talked about experience and value co-creation by using smart technologies. The session was completed with the second keynote of the day by Antonio Lopez De Avila from SEGITTUR-Spain, who demonstrated the innovative and successful case of Spain becoming a smart tourism destination. The second afternoon session focused on industry insights and practical developments from and for tourism destinations. Jon Weaver from Bournemouth Tourism started with an introduction of Bournemouth as a smart destination. This was followed by several interesting short industry talks by representatives from Crowd, TripAdvisor, New Forest, New Mind, eRevMax, DUETTO, Fusion WiFi and ETT on smart digital platforms, destination management systems, smart tourist interconnection and infostructure, smart hospitality and revenue management and augmented reality for cultural heritage. 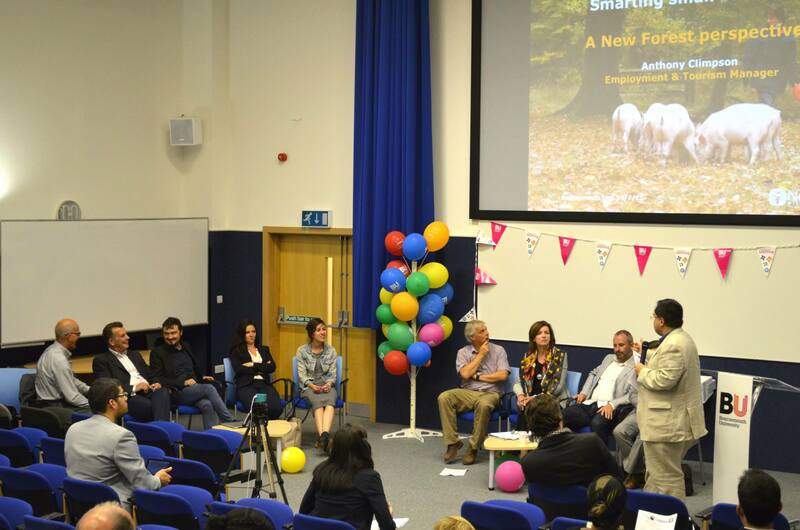 These great presentations have stimulated vibrant and interactive discussions between speakers and the audience. The event finished with an evening reception at the Retreat, where speakers, event organisers and participants were invited by IFITT for a networking get-together.